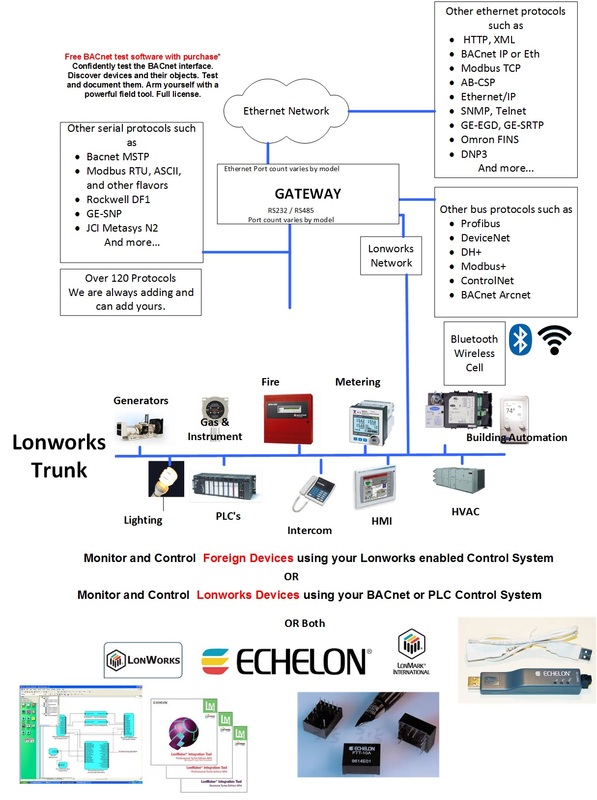 A FieldServer protocol gateway that provides data exchange between LonWorks and Lutron Grafik 6000. 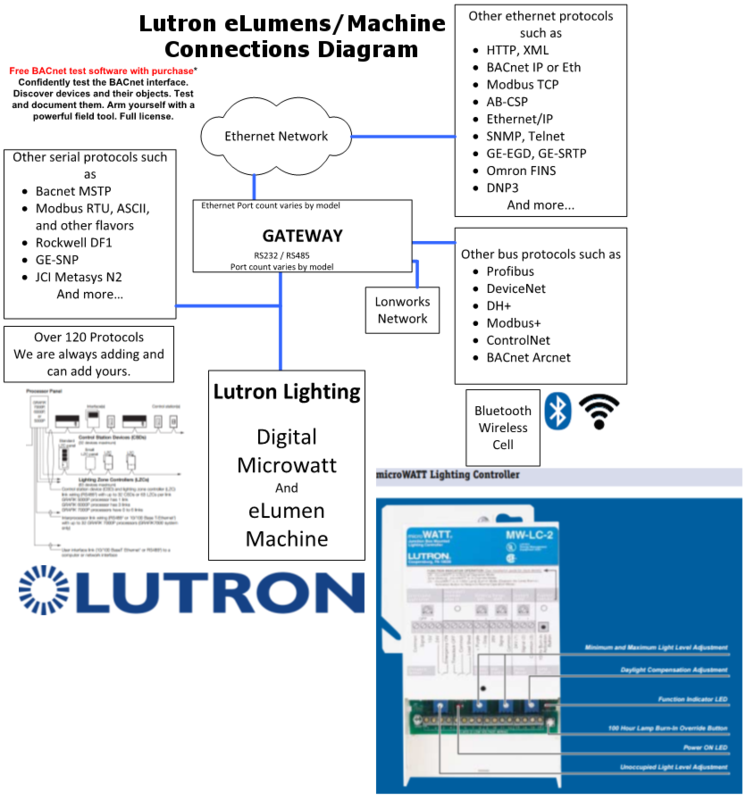 The Serial Lutron eLumen driver allows the FieldServer to transfer data to and from devices over RS-232 or RS-485 using eLumen protocol. The Serial eLumen driver allows the FieldServer to transfer data to and from devices over RS- 232 or RS-485 using eLumen protocol. 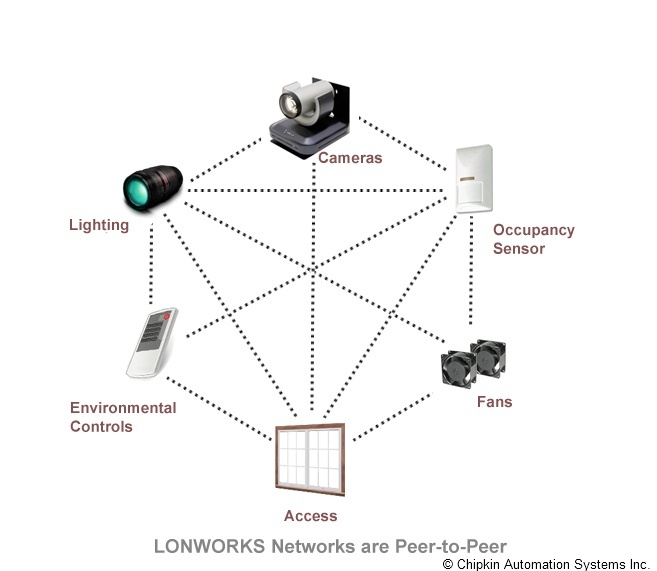 The FieldServer can only be used operationally as a Lutron client driver. Any existing Lutron server drivers are for FieldServer testing purposes only and cannot be used to emulate an eLumen system. The driver supports the following 3 panels: GRAFIK5000, GRAFIK6000 and GRAFIK7000 The hardware for all 3 panels is identical. The only differences are limits in the database. GRAFIK5000 has only 1 CSD link and can have a max of 128 zones. GRAFIK6000 has 3 CSD links with 512 zones. 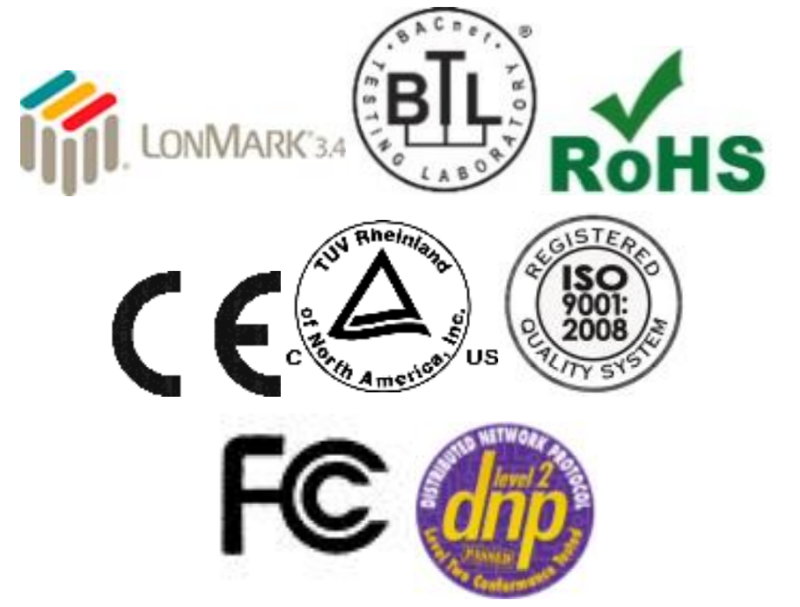 GRAFIK7000 has 6 links with 512 zones and can communicate with other processors. Status monitoring of eLumen system data and parameters. Status monitoring is achieved by sending status requests to the eLumen system. Retrieved status data are collected and stored in FieldServer data arrays that allow access by other protocols.